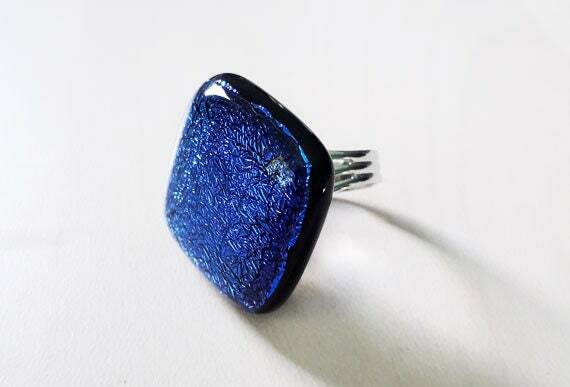 Dichroic glass ring, made from blue and black fused glass on a silver band. 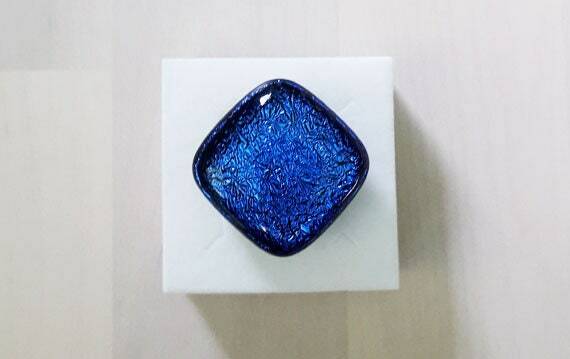 This is a bright, glitzy, sparkly ring, perfect for parties and wearing out in the evening. 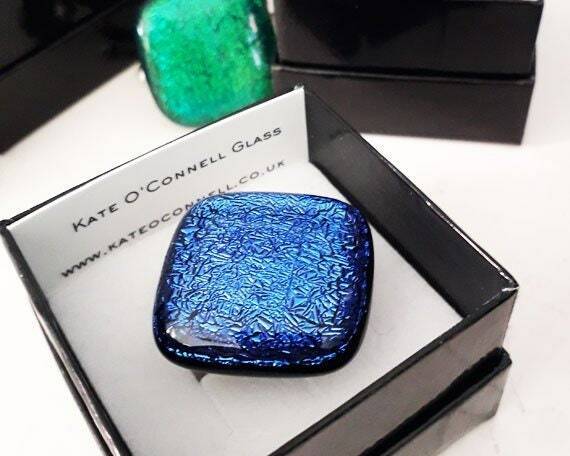 It's set as a diamond shape and the glass is about 32mm corner to corner. 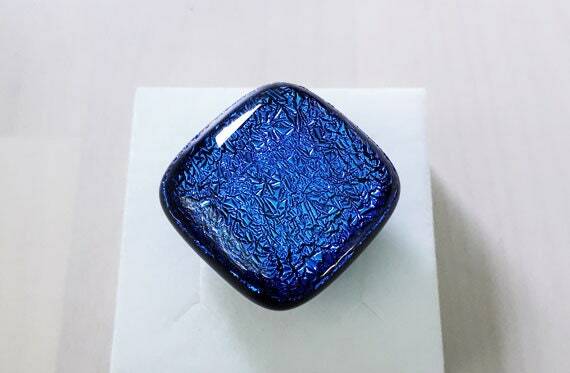 It's a lovely, intense cobalt blue, with a crackled pattern. 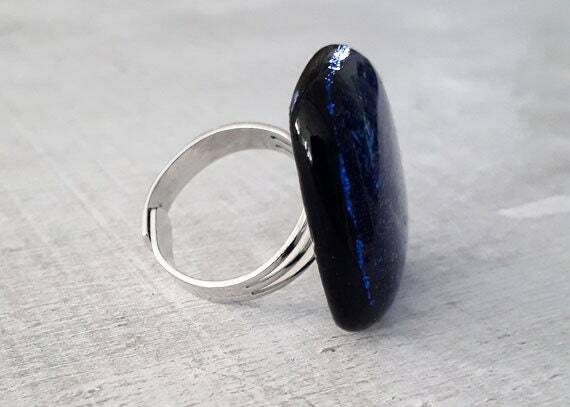 The band is silver plated, and expandable.